It may not seem like it but, yes we are actually on the road to Wrestlemania and we only have one more pay per view before the ‘Showcase of the Immortals’ takes place in April. 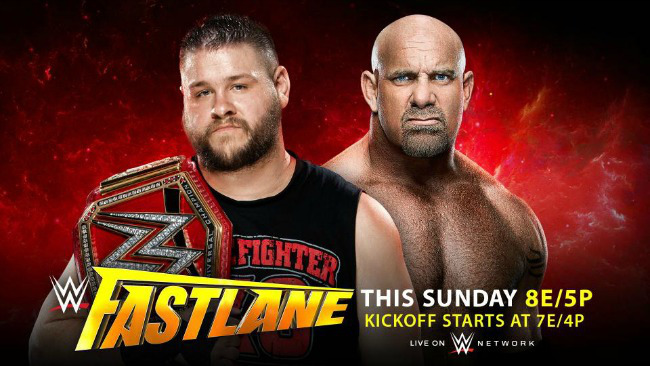 With previous years, Fastlane acted as a buffer for all of the various storylines that were being hyped up before the big one. In both 2015 and 2016, the event was used to tee up number one contender spots for title shots, however this time we have a match that may actually see the heavyweight title change hands, making things a little less predictable. In the past, it was made abundantly clear that Roman Reigns was going to come out the victor at this event, however Fastlane 2017 seems like a bit of an unknown with no one really sure how the card will turn out. So with that, let’s check out the eight matches taking place at the Bradley Center in Milwaukee and who we think will be walking into Wrestlemania with all the momentum. In this Cruiserweight tag team match, don’t expect anything too jaw dropping, which is painful to write, seeing as on paper this match could be an exciting encounter. Watching how poorly WWE has handled, 1) the cruiserweight division since its comeback and 2) the competitors in this match, then I fully expect this one to be a letdown. Alicia Fox is more than likely to be involved in the finish, continuing on her story with Noam Dar. 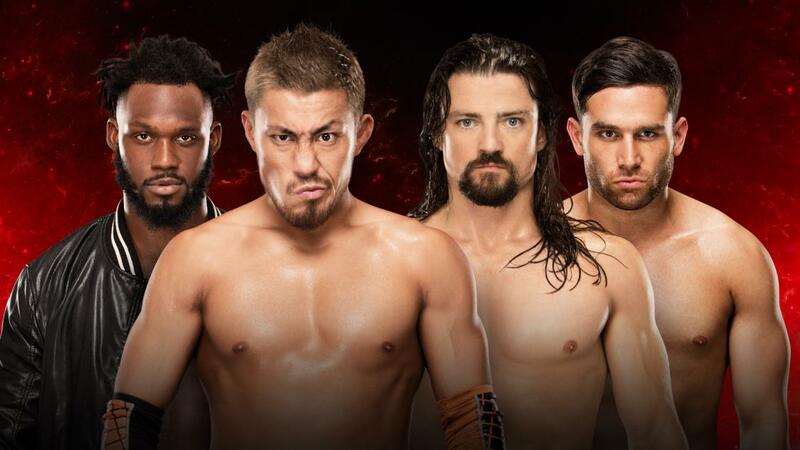 Seeing as Akira Tozawa only made his debut in February, expect him to pick up the victory for his team with Alicia Fox playing an influential role in the decision. Prediction: Rich Swann & Akira Tozawa. This match seems like it has kind of been thrown together because of the Charlotte and Bayley feud, with Jax siding with Charlotte and Banks with Bayley, possibly setting up a fatal four way between these ladies at Wrestlemania. The animosity between Banks and Jax has been building since the start of the year. After they faced off at the Royal Rumble and Jax dispatched Banks in quick fashion, the feud looked to be over. However, without a lot of other female wrestlers on the Raw brand at the moment, writers have decided to continue their feud for the time being. With WWE wanting to keep both competitors looking strong going into Wrestlemania, expect Banks to win and revive her character, possibly through a DQ from a hot headed Jax. A few weeks ago when it looked like WWE had finally worked out what to do with Gallows & Anderson, they then immediately put them in two handicap matches against Roman Reigns, where they were made to look weak as hell. The Tag Champs come up against arguably the most popular team the WWE has to offer in Enzo Amore & Big Cass. For this match, I don’t expect the belts to change hands but that’s not saying the challengers won’t taste gold a little further down the line. This one’s the the battle of the Englishmen for the Cruiserweight Title. 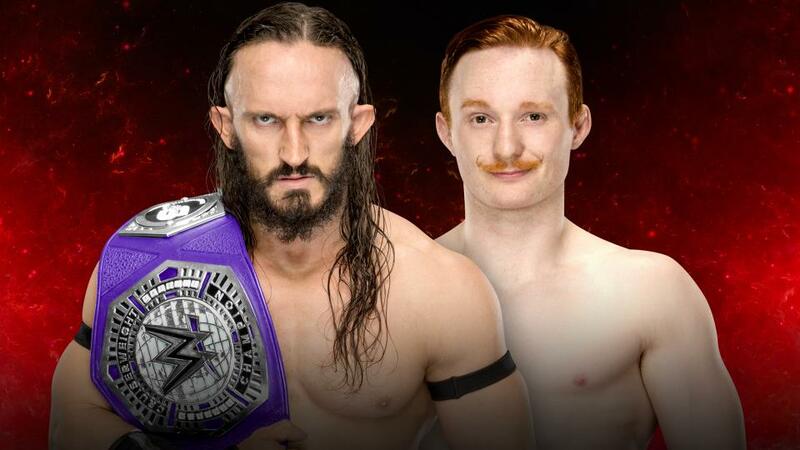 While they were only given two minutes on Raw, last Monday, to continue their feud, the matchup between Neville and Jack Gallagher seems like an intriguing one to say the least, and if given enough time, they could end up having one of the matches of the night. Neville has been on fire as the despicable heel champion who will do whatever it takes to win. Neville should win on Sunday after a valiant fight from Gallagher establishing him as a face for the future. This one has match of the night written all over it, as the underdog Zayn goes one on one with Triple H’s new chosen one, Samoa Joe. Joe has been booked perfectly since coming up from NXT and this feud with Zayn is a perfect stepping stone for him to go on to bigger things at Wrestlemania in a few weeks. Samoa Joe has been involved in some wars over the years in many different organisations, perhaps one of his most notable ones being against the mighty Kenta Kobashi back in his Ring of Honour days. However, all of those stages paled in comparison to the size of WWE’s, so don’t expect The Destroyer to sell himself short by any means in the famous brewing city of Milwaukee, Wisconsin (it seems years of cheap Mick Foley pops have had an effect on me!). Let’s be honest, Zayn has been used as a human battering ram for the best brutes that WWE has to offer and it’s a job he continues to welcome without hesitation. Sami will dish out what he can to the big Samoan but it’s essentially a case of David v Goliath. Expect a good quality match with a well worked victory for Joe. Will Bayley be the one to finally halt Charlotte’s unbeaten run on Pay Per View matches? In a word… no! If the payoff to Charlotte finally losing on Pay Per View is at Fastlane it would be a disappointing end to a story which would be much better told at Wrestlemania. While Bayley winning the title on Raw a few weeks ago was a great moment, it will all be undone if she is to lose to Charlotte at Fastlane. If WWE is angling for a fatal four way between these ladies for the Women’s Title at Wrestlemania, I can see Charlotte heading into that match as champion, but with the definite possibility of Bayley winning at Mania. Unfortunately, I don’t see Bayley winning here but do see the ‘Genetically Superior Athlete’ taking her belt back. Prediction: Charlotte Flair (New Champion). Neither man should have to lose this match. 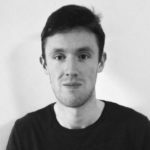 Strowman has been on a role for the past few months, winning admirers in every match, but he’s going up against ‘The Guy’ in Roman Reigns and it’s highly unlikely that Reigns will lose on the Pay Per View prior to Wrestlemania, where he is most likely going to face off against the Undertaker. That’s the trouble with this match, a lot of fans think that Braun is going to lose in some way which makes him look weak, so a win would be a real eye opener. 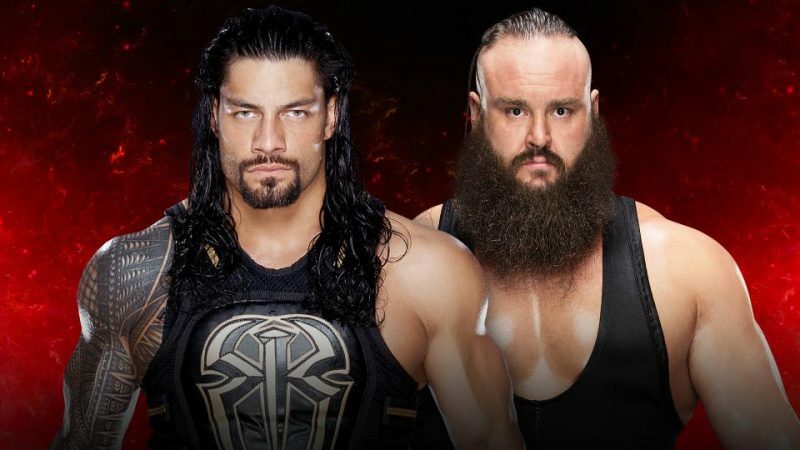 The build-up to this match has been immense and Braun has definitely shown people what he can do in a big storyline and that can only bode well for him in the future, but this Sunday at Fastlane I don’t think he will emerge victorious. A year ago, who would have thought that Bill Goldberg could be walking into Wrestlemania as a World Champion? Anybody? No? Ok then! Goldberg has been brilliant in his appearances since making his return and still looks the part even if his matches haven’t exactly been, how you say, long. Kevin Owens has now become the badass heel that people have wanted him to be for so long after ending his friendship with Chris Jericho a few weeks ago on Raw, which put an end to one of the best segments in recent WWE history. With both Owens and Goldberg also involved in feuds with other wrestlers, don’t be surprised if either Brock Lesnar or Chris Jericho get involved to cost either one the match. Y2J getting revenge on Owens seems the more likely of the two. This could potentially cost Owens the match and set up Owens vs. Jericho at ‘Mania for the US Title, allowing Goldberg to walk into ‘Mania the Champ and face off against Brock Lesnar, one more time, to finish their trilogy on a high. With things on Smackdown really heating up and a lot more matches to be announced over the next few weeks, be sure to keep an eye out for our On The Mat preview of Wrestlemania 33, believe us, it will be a big one! Can’t sit still until then? Check out the rest of our series with On The Mat – Royal Rumble 2017 or On The Mat – Elimination Chamber 2017.